A 4 bunker dating back to about 1980. A previous Mt Greenland Hut built 1903 in a different location closer to the summit collapsed sometime post the mid 1970's. 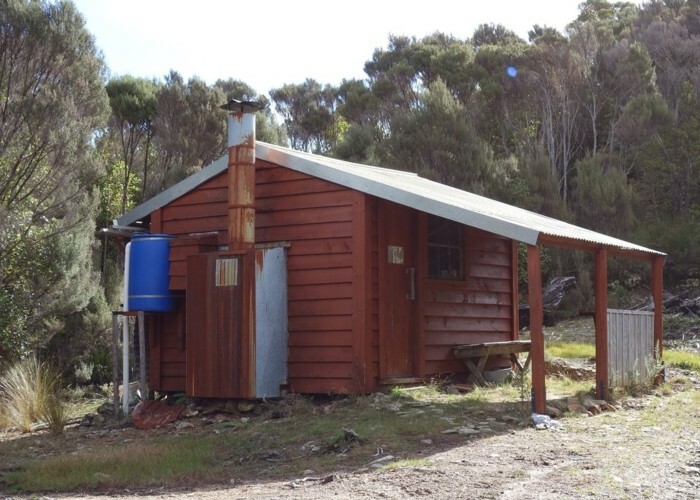 The current hut was built as a base for mineral prospecting by Consolidated Traders, Mining Division. In about 2001 it was turned over to public use. In 2014 the SINDA 4x4 club gave this hut a major makeover. The Mt Greenland Hut is on the site of the former goldmining township of Veronica which sprang in to life in 1884. It is next door to the collapsed remains of a miners boarding house and there are other collapsed and almost collapsed buildings off track in the vicinity. Mt Greenland Hut • By glennj. Licence: C.
There is difficult drive in access from Ross. Most people walk from the visitors center at Ross or the carpark at the bottom of the first hill up Jones Creek though you can get a couple of km further driving before it becomes a serious 4x4 proposition. Allow 3-4 hrs to walk from Ross to the hut via Mt Greenland. There are also two routes from the Totara Valley and others from the Mikonui. These are relatively challenging routes to the hut. Added 27 June 2018 by glennjglennj. 2 revisions, most recently 30 June 2018 by glennjglennj. 123 views in the past year (11 per month).